Hindustan Times (Srinagar), Aug 07 2018 - An Army major and three soldiers were killed while foiling an infiltration bid in north Kashmir’s Gurez sector, officials said on Tuesday. At least two militants were killed in the operation, they added. 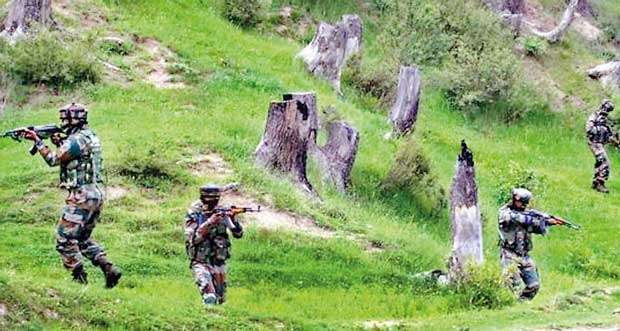 The encounter between the patrolling party of the Rashtriya Rifles and the infiltrating group took place at Govind Nallah in Gurez sector of Bandipore district. Initial reports said a group of eight was trying to infiltrate into the country. Of them, four ran back to Pakistan-occupied-Kashmir, officials said. Details of the operation are awaited. Last week, five militants were killed in a counter-insurgency operation in Kilora village of South Kashmir’s Shopian district. A civilian died and two others were injured in Gunawpora in the same district when forces opened fire on protesters at the funeral of one of the slain militants.